Psychologists are licensed professionals who study human behavior and help people understand their behavior. 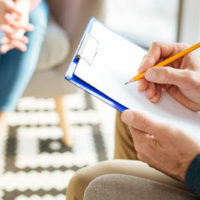 Many Americans have seen psychologists or therapists to help them deal with addiction, depression and other mental problems. Psychologists typically need a doctorate degree and be able to pass an exam before becoming licensed to practice. Psychologists have various rules, regulations and ethics that must be followed. When they are not followed, the state board—for Florida residents, it’s the Florida Board of Psychology—can take disciplinary action. This may include losing their license, although this is typically not the first step in the discipline process. According to the American Psychological Association, psychologists must adhere to five general principles: beneficence and nonmaleficence (causing the least amount of harm possible), integrity, dignity, fidelity and responsibility, and justice and respect for people’s rights. Use of fraud to apply for a license. Endangering the lives of patients. Abuse or harassment, sexual or otherwise. Any type of sexual contact with a patient. Aiding an unlicensed person to practice psychology. Filing fraudulent Medicare or Medicaid claims. Refusing orders by the Board. Inability to practice psychology due to one’s mental or physical illness. Losing a psychologist license is a very serious action. If you are accused of breaking a law or violating the code of ethics, you will likely face other less serious punishments first before your license is taken away. Your first punishment may be a warning letter informing you that you have broken the law. The next form of punishment is an official reprimand. The next steps are license suspension and revocation. With suspension, you still have your license but cannot practice. With revocation, you lose your license and can no longer practice psychology. Both suspensions and revocations are reported to a searchable database that allows the public to view punishments of psychologists. If the Florida Board of Psychology believes that the psychologist has the ability to cause any type of harm to a patient, it can suspend the psychologist’s license right away. It must then schedule a hearing within 120 days. If the suspension was found to be justified, then the psychologist’s license can be revoked permanently. It is possible for a psychologists to get his or her license reinstated, depending on the situation. Psychology involves dealing with the human mind. As such, it requires that psychologists display the utmost moral and professional standards at all times. They must be able to display competence and adherence to the code of ethics or face punishment. No matter what type of professional license you have, getting it back and returning to your career is no easy task. Get legal representation from the Law Offices of David P. Rankin, P.A. 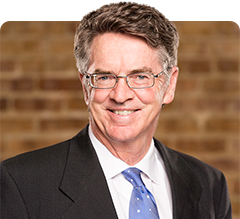 I am a Tampa administrative lawyer who focuses on licensing issues for psychologists and other professionals. Contact my office today for a consultation by calling (813) 968-6633.